Before I was a mom, I used to loooooove wearing heels, wedges, and other cute shoes. After my baby was born, I had such swollen feet, I couldn’t even wear shoes (just flip flops)! So now, I have to settle for comfortable shoes. The good news is that with ballet flats, slippers, and other styles, I don’t have to sacrifice style for comfort. 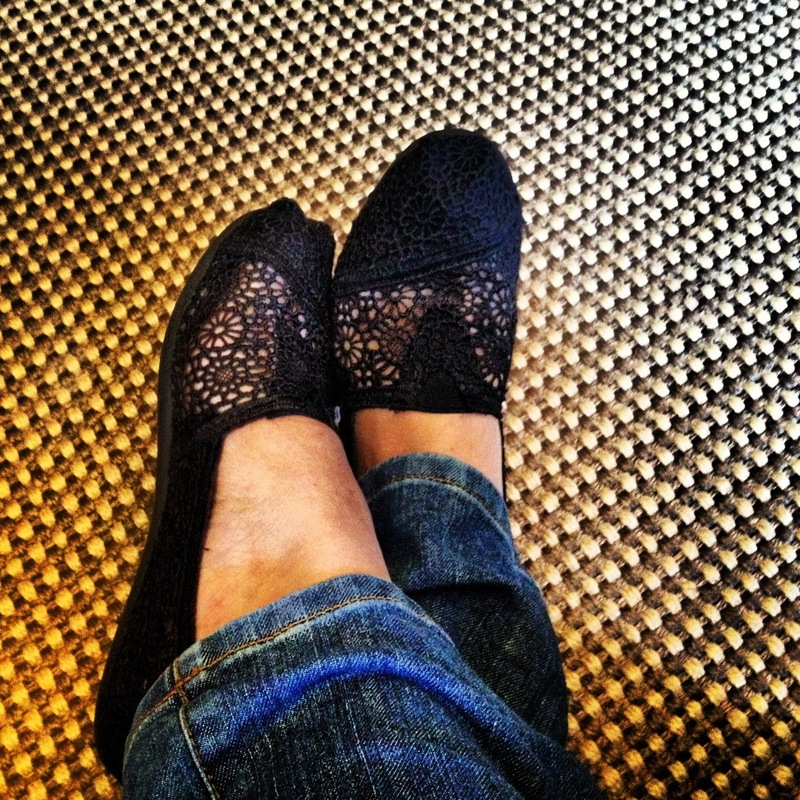 On the weekends, I especially love to wear laid back flats with fun details like the Toms you see here. They are perfect for just slipping on and being on the go with a baby and Hubby in tow. I especially love the crochet patterned ones. For you cold weather folks, Toms may not work as well so I would recommend nice flat heeled boots you can tuck your jeans into. Stylish, functional and warm! Perfect for chilly fall weekend weather. Make sure to jump in the leaf piles for me! PS: Thanks to my girl Sarah for introducing me to Toms and making me more stylish!